The 2018 Hero Karizma ZMR has been silently relaunched in India. It is available in two variants priced at Rs 1.08 Lakhs and Rs 1.10 Lakhs (ex-showroom) respectively. The 220cc sports bike does not get any cosmetic change over the previous model, just gets a BS-IV Compliant engine. 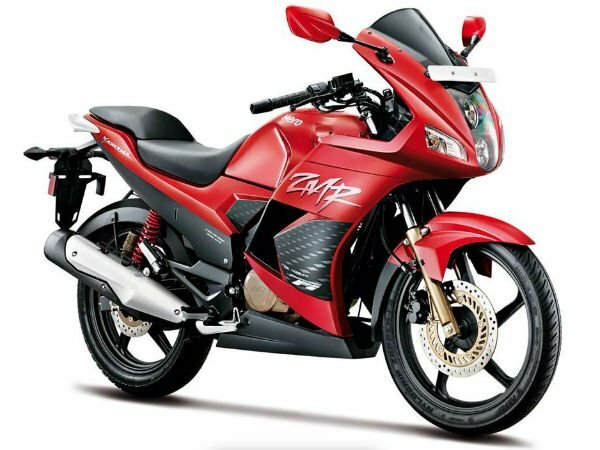 2018 version of the long-running Hero Karizma ZMR has been silently relaunched in India. Earlier, it was stopped because Hero had not updated this bike with a BS-IV compliant engine. It is available in 2 variants – Standard and Dual-Tone. The standard variant is priced at Rs 1.08 Lakhs and the other one is priced at Rs 1.10 Lakhs (ex-showroom Mumbai). It receives no cosmetic changes and features upgrade from its earlier version. It only gets a new compliant engine. The bike comes with features such as front and rear disc brakes, front telescopic and rear double shock suspension and more. However, it still does not get ABS, while its counterparts feature one. The Hero Xtreme 200R also gets a single-channel ABS, which might also come in the Xpulse 200. The Karizma was launched in 2003 as a sporty commuter bike and overall, has evolved itself as a fully-faired sports bike. After the introduction of the BS-IV engines, this bike did not receive one. Eventually, it was stopped in 2014 and was just available on order basis. Back then also, it came with much lesser features as compared to other segment bikes. However, the bike was exported to the international markets, while it was not available in India. The main reason for the low sales of Karizma that we think is because of fewer features and a relatively higher price. The 2018 Hero Karizma ZMR gets no features and visual updates. It gets a 223cc air-cooled engine, which is currently the most powerful in Hero’s lineup. The engine churns out 20.2 BHP of power and 19.7 Nm of torque. The engine is mated to a 5-speed gearbox. The bike gets a telescopic function at the front end and a swing-arm suspension. For braking duties, it uses front and rear disc brakes. However, it still features without a very crucial ABS feature. Features of the bike are much basic, which includes LED tail lights, Dual headlamps and LED position lamps and a digital instrument console. Currently, the nearest rival of the 2018 Hero Karizma ZMR is the Bajaj Pulsar 220F, in terms of the designing. In the league of 200cc bikes, there are Apache RTR 2004V, Pulsar RS200, Honda CBR 250R and more. At the same price range, you can opt for Apache RTR, which offers more features.